The Lightweight Basecoat is a highly breathable, vapour permeable basecoat that compliments both old and new builds. Once dry, the basecoat provides a strong, flexible and waterproof layer. 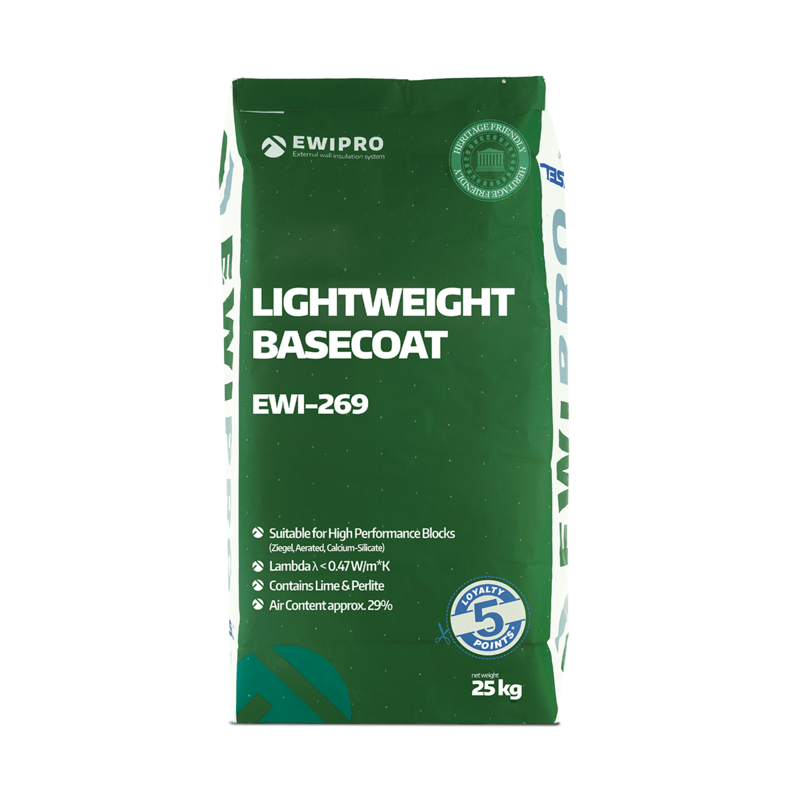 The Lightweight Basecoat is designed for use internally or externally on high performance blockwork, solid brick walls and more. One of the unique characteristics of this lime-based basecoat is that it can be applied at a thickness of up to 25mm in one pass without compromising breathability. It binds gently to substrates due to the presence of lime, offering a level of flexibility that ensures crack resistance on even the softest of substrates. We recommend applying a layer of the Premium Basecoat on top of the Lightweight Basecoat to increase the strength of the system. Lightweight Basecoat is a breathable, heritage friendly, limed-based basecoat which is ideal for use on older properties or new builds. The basecoat is suitable for application on high performance zeigel blockwork, autoclaved aerated concrete (AAC), calcium silicate blocks, stonework and solid brick walls. When applying the basecoat to high performance blockwork, we reommend applying the product in two passes, allowing the first pass to pull back slightly before applying the second. Suitable for use internally or externally. Lightweight Basecoat should not be applied in rain or humid conditions, or if wet weather is expected before the adhesive has fully set. The basecoat should be applied in temperate weather and should not be used in temperatures above 30°C. Likewise, if the materials or the substrate are frozen, or if there is any risk of frost damage within the first 24 hours, work should be postponed. Setting time is typically between 24-48 hours, depending upon the environment and humidity. 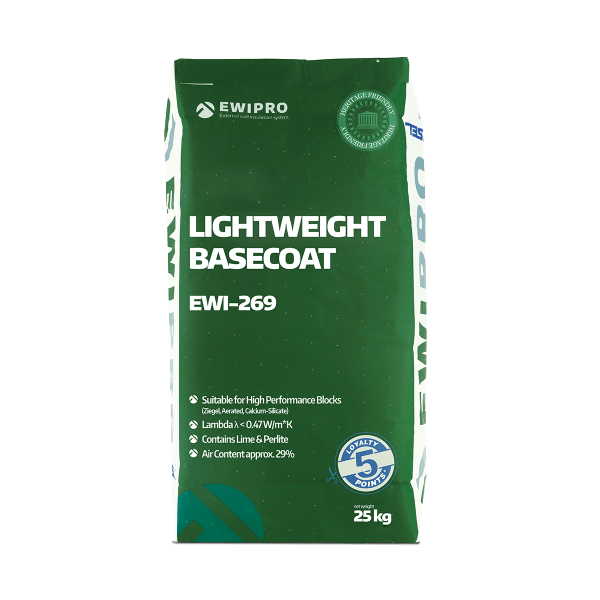 EWI-269 should be mixed with approximately 5 litres of clean water per 25kg mix.